NOTE! THIS IS A BY ORDER ITEM. PLEASE REVIEW OUR TERMS BELOW. 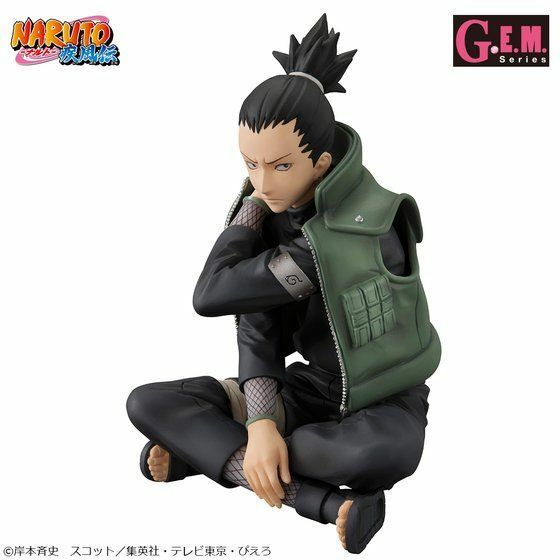 "Would it be cool adults" G. E. M. Series NARUTO - "Nara Shikamaru" appears from the Naruto Shippuden. Shikamaru judge things calmly and perform duties. Considering the impression of being a little matured even compared with Naruto 's people, "Troublesho" has become three-dimensionalized with a shikamarashii-like pose of habit. While saying such a thing, surely it seems to pick up the voice of Naruto and everyone today as well. Please enjoy and decorate it side by side with "G.E.M. series NARUTO - Naruto Shippuden" which has already been released.